Below you can view all the homes for sale in the Heartland Crossing subdivision located in Camby Indiana. 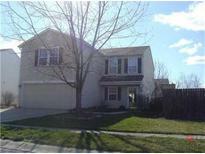 Listings in Heartland Crossing are updated daily from data we receive from the Indianapolis multiple listing service. To learn more about any of these homes or to receive custom notifications when a new property is listed for sale in Heartland Crossing, give us a call at 317-434-3783. FEATURES: FIRST FLOOR OFFICE, large eat-in kitchen with breakfast bar, stainless steel appliances, pantry & lots of cabinets, GAS LOG FIREPLACE, 48x13 paver patio with pergola, privacy fenced rear yard, WEEK OLD QUALITY GRADE CARPET ( $5800 cost ), oversized 20x19 4th bedroom with two large closets, vaulted ceiling in master bedroom, garden tub with separate shower master bathroom, hall bath with separate shower room, walk in closets in bedroom 2 & 3, etc... HEARTLAND CROSSING COMMUNITY FEATURES: pool, shopping complex, GOLF COURSE, tennis, playgrounds, walking trails, etc... REALLY NICE FLOOR PLAN! Mooresville school system! MLS#21633804. RE/MAX Advanced Realty. No money down USDA financing available! MLS#21633211. The Stewart Home Group. New roof 2016, water heater 2016, fridge 2015, stove dishwasher 2016, Garage door opener springs replaced and service updates Shutters and door painted in 2017. fixtures blinds paint flooring many more upgrades inside in 2018 MLS#21632317. The Modglin Group. This home is ready for you! MLS#21632525. F.C. Tucker Company. Neighborhood pool, playground, basketball, tennis courts, and golf. MLS#21632666. CENTURY 21 Scheetz. This one is worth a look! MLS#21630995. CENTURY 21 Scheetz. Sitting on a premium lot on a quiet cul-de-sac. Newer Roof & HVAC! MLS#21631559. F.C. Tucker Company. Den with French double doors offers great office/study space, still leaving 2 additional bedrooms w/ master. All appliances stay. MLS#21631413. CrestPoint Real Estate. Newer roof, gutters, water heater, flooring thru-out, back splash, interior & exterior paint & more! Ready for your move today. MLS#21628990. Keller Williams Indy Metro S.
View 9150 Stones Bluff Place today! MLS#21629129. Keller Williams Zionsville. Come and see your new home. MLS#21628533. F.C. Tucker Company. Tons of upgrades - extra storage, fresh paint, new HVAC & flooring, extended drive and 6-panel doors. MLS#21628394. Carpenter, REALTORS®. This home is priced to sell and won't last long. MLS#21628249. F.C. Tucker Company. Lots of amenities, close to downtown, what more could you ask for? MLS#21626377. RE/MAX Advanced Realty. This house has it all, providing amazing value, and will not last long! MLS#21627467. Five-Star Realty Group, LLC. One of the largest lots in Heartland on cul-de-sac just shy of half acre with large deck overlooking private tree lined backyard. MLS#21627020. F.C. Tucker Company. Neighborhood pool, tennis courts and parks. MLS#21622348. Carpenter, REALTORS®. Come and view and you will soon call this your home. MLS#21610821. Keller Williams Indy Metro S.
Come and see it for yourself. MLS#21609859. Mejia Realty LLC. This condo is available for move in now! A real beauty! MLS#21609958. Viewpoint Realty Group, LLC. 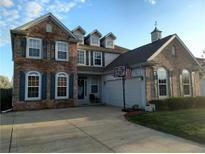 This home features 4 rooms, 2.5 baths, spacious backyard with brand new appliances! ! MLS#21604902. F.C. Tucker Company. Only lot available in the Colony at Heartland Crossing in Plainfield School System. MLS#21605821. Carpenter, REALTORS®. Desirable Location - Come See It Today! MLS#21577622. Jeff Paxson Team.